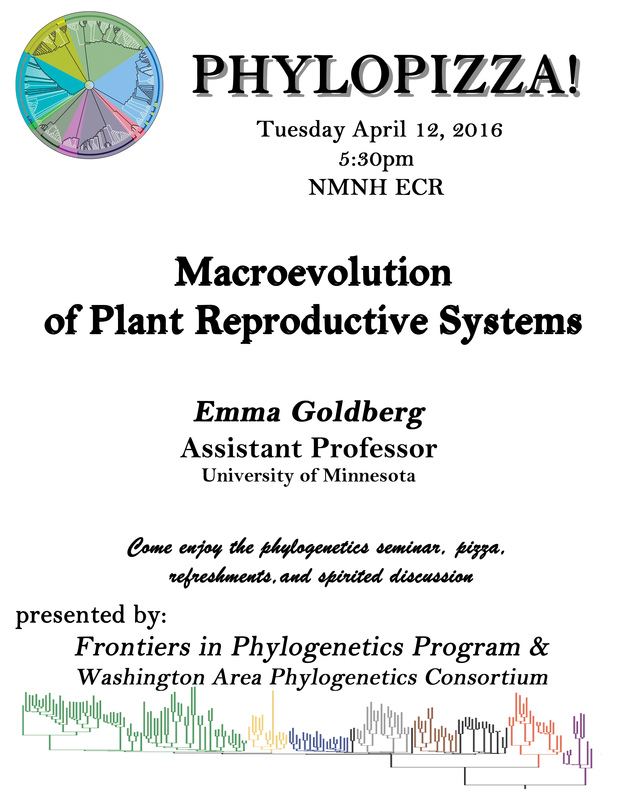 Our next PhyloPizza event will take place on Tuesday, April 12, at 5:30pm in the NMNH Executive Conference Room (ECR). 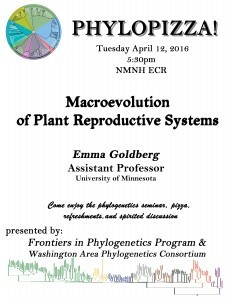 Emma Goldberg of the University of Minnesota will give a talk entitled “Macroevolution of Plant Reproductive Systems”. Join us! 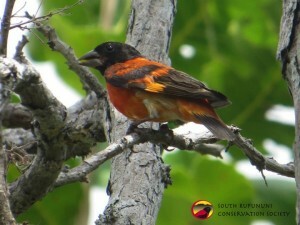 The Red Siskin Initiative was recently featured in a piece on the Smithsonian Institute for Biodiversity Genomics website–check it out here. The Red Siskin Initiative is led by members of the Braun lab. Check out the ‘Red Siskin Conservation’ tab to learn more about the project.